It’s fitting that this week’s Preacher threw in a nod to its network predecessor Breaking Bad, because sinners outnumbered the saints and all of Annville’s dark sides came to light. Oh, yeah: we also traveled to Hell and finally got the Cowboy’s backstory completely filled in, but more on that in a second. The at-times uneven first season rewarded viewers for their patience with a quick-paced, engrossing episode that delivered on all fronts. This being the last episode before the season finale, we should have expected as much. The slow assembly of cogs and wires followed by an explosive spring of the trap has become AMC’s signature style with all its dramas. So when the sheriff takes out years of frustration about Arseface Eugene on the disarticulated angel, Tulip goes to kill a man in Albuquerque, or Emily decides to solve her man problems by feeding him to a starving Cassidy, we shouldn’t be surprised, because the time is right. However, like with Breaking Bad, Better Call Saul, Mad Men, and The Walking Dead before, we’re suckered right in even though we know it’s coming. We’re tense when Tulip — showing signs of battle damage — sits fidgety in a chair while over the visuals, Jesse professes his love . We feel sympathy and bemusement as tears well in the sheriff’s eyes as he chokes the life out of what he believes is a helpless soul only to have her rematerialize in the next room. We think Emily is in way over her head caring for a feral vampire, but gasp when we find out she knows exactly what she’s doing. While all this was going on, Jesse is on the lam from both the law and Odin Quincannon, eating hobo flapjacks and making plans for his Sunday sermon showdown. With Cassidy’s help, Jesse now has a direct line to the Throne of Heaven and with the hand of a disarticulated angel, he means to use it to bring God to Texas, Sunday. 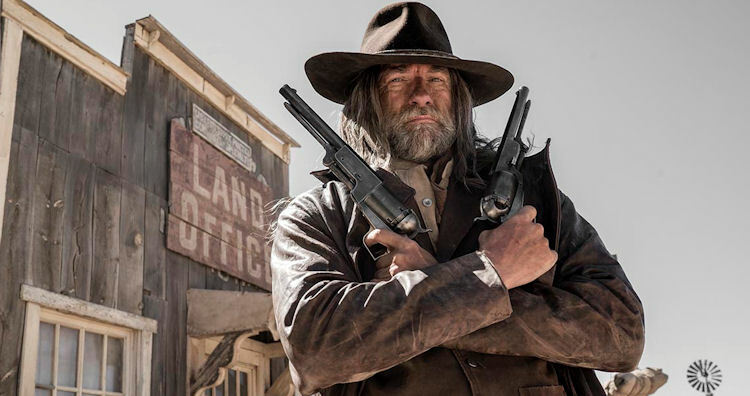 The only thing between Jesse and his plan are the two angels looking to bottle up Genesis for safekeeping, which brings us around to the Cowboy or, as he’s known in the comic, the Saint of Killers. Those flashbacks about the Saint haven’t been flashbacks at all. Reliving the horror of losing his wife and daughter, then carrying out the massacre of men, women, and children over and over again is the Saint’s life in hell. It’s just like a version of Tantalus or Sisyphus, except with a catchy tune and a beheading at the end. The angels step into the nightmare with a deal for the Saint — kill a Preacher, end the cycle. Heaven and Hell are going to meet in a decaying little chapel in dusty West Texas next week. I’ve rarely looked forward to a Sunday more.